This great value ticket offers the chance to experience some of Orlando’s fantastic attractions beyond the major theme parks. The Orlando Explorer Pass gives you entrance to 4 ‘must-do’ Orlando attraction experiences in one convenient pass and at one low price! With the Orlando Explorer Pass you can save up to 40% off the combined individual admission prices. Take your pick from the list of attraction experiences below – you can choose any four from the list and you have up to 30 days to visit your chosen 4 attraction experiences. 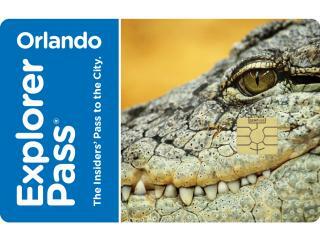 PLUS, all Orlando Explorer Passes come with a 3 day I-Ride Trolley Pass. American Attractions will issue you with a ticket voucher for your Orlando Explorer Pass that can be easily redeemed at the redemption centre on International Drive. Orlando Explorer Passes cannot be purchased from these locations.